Radio Arts are commissioning four new Radio Art works of 30 or 60 minutes in duration. 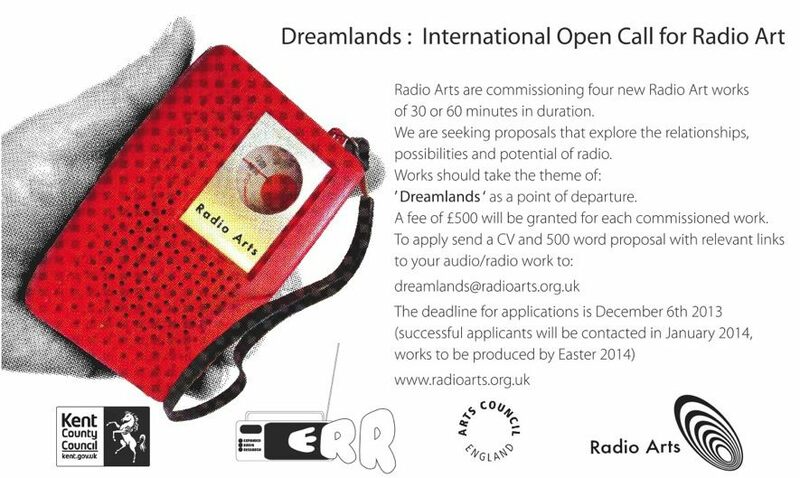 We are seeking proposals that explore the relationships, possibilities and potential of radio. Works should take the theme of: ‘Dreamlands’ as a point of departure. A fee of £500 will be granted for each commissioned work. The deadline for applications is December 6th 2013 (successful applicants will be contacted in January 2014, works to be produced by Easter 2014). ← Intermission: An Audio Portrait Of Place. Open Call for Audio/Radio Submissions.